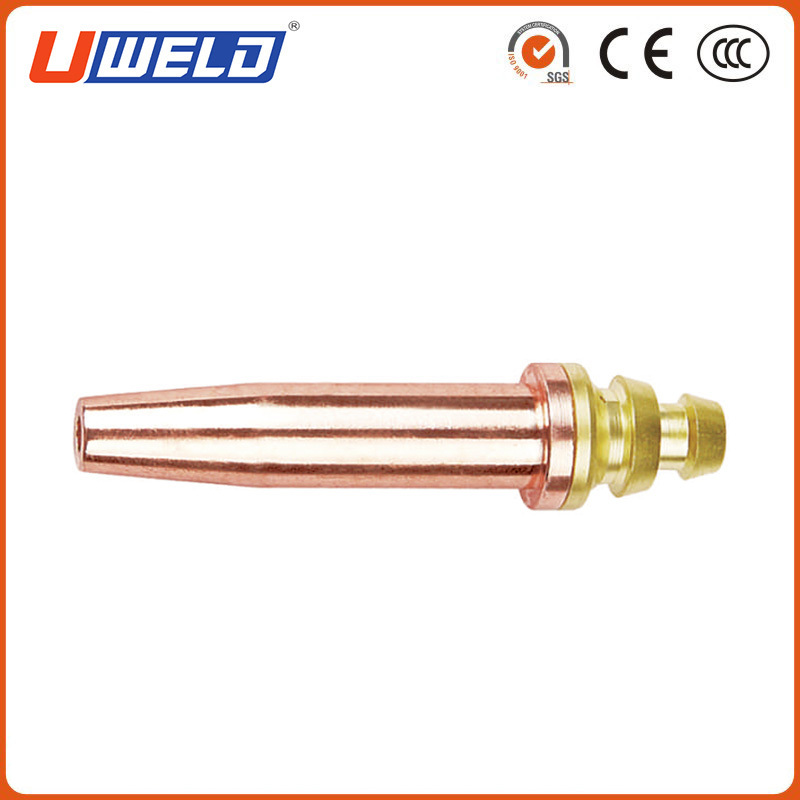 Premium quality brand-new acetylene cutting tip 6290-AC for Harris torch General Pre-heat Acetylene single piece cutting tip. For general cutting with Acetylene gas. Cutting tip for Oxygen/Acetylene, Size number 0, Cuts metals up to 2 In. in thickness. Premium quality cutting tips offer precise gas flow for maximum effectiveness in cutting steel. For use with oxygen and acetylene only. Refer to manufacturer for alternate fuel recommendations. Cleaning: Use Harris Tip Cleaner E-9 (P/N 9000160) for cleaning pre-heat holes and removing spatter from the tip face. When cleaning the preheat slots, do not brush across the slots as this motion can damage the slots. Always brush along the length of the slot to remove dirt or spatter. Looking for ideal Brass Gas Cutting Tip Manufacturer & supplier ? We have a wide selection at great prices to help you get creative. All the G1-P Gas Cutting Tip are quality guaranteed. We are China Origin Factory of G1-P Brass Gas Cutting Tip. If you have any question, please feel free to contact us.